Medium and large businesses tend to have a wide array of products and services. With plenty of product information, you need to have a medium that is optimal for both creative and technical details. The solution? Multi-page printing. 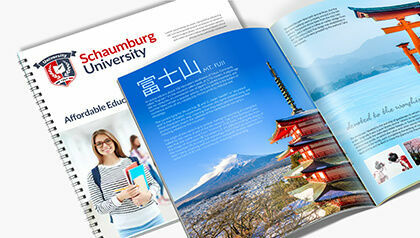 Print booklets, magazines, or catalogs to accommodate a variety of information for your business. The customizable sizes and number of pages can accommodate all of your business information, perfect for turning leads into loyal customers. 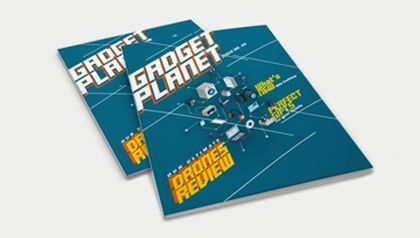 Highlight a specific product line with a 5.5" x 8.5" booklet, showcase your company profile with a full color glossy magazine, or include full technical details with a maximum 96-page product catalog. There are so many possibilities for increasing your target market’s brand awareness. Booklets - generally smaller than books with 8 to 96 pages. Get it Saddle Stich or Wire-O Binding. Excellent for instructional manuals and recipe books. Magazines - is a type of periodical and often printed on a monthly or season-based schedules. Available in Full or 1 Color prints. Great for montly corporate journals or product presentations. Catalogs - are printed marketing materials that list goods or services that are on sale or to present the business portfolio. Available in Short-run or Bulk orders. 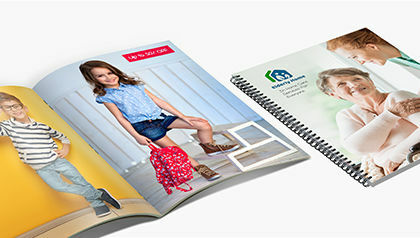 We offer three binding options for our multi-page printing products—saddle stitch, Wire-O, and perfect binding. For saddle stitch binding, your pages are folded and bound with a wire staple. Wire-O binding features individually cut pages bound by Wire-O. For perfect binding, your pages are cut and then glued together. Order quantity starts at 25 up to 25,000 with optional shrink wrapping in booklet sets of 25 or 50. Place your custom booklet printing order today and it will be ready to ship as soon as 3 business days.